The man who blew the whistle on the controversial Prism surveillance program has revealed himself as a 29-year-old former CIA employee, in a fascinating interview with The Guardian. Speaking to the 'paper which first reported the scandal that has rocked the Obama administration (with a knock-on effect in the UK), Edward Snowden said he felt a civic duty to reveal the scope of the NSA's initiative. Snowden, who is now holed-up in Hong Kong, says he expects to 'never see home again,' but claimed he doesn't wish to live in a place where everything the public says or does is recorded by the government. He accused the NSA of 'automatically ingesting everything' and said the Agency had created a 'horrifying' infrastructure where anyone's communications can be easily intercepted. He said: "With this capability, the vast majority of human communications are automatically ingested without targeting. If I wanted to see your emails or your wife's phone, all I have to do is use intercepts. I can get your emails, passwords, phone records, credit cards. 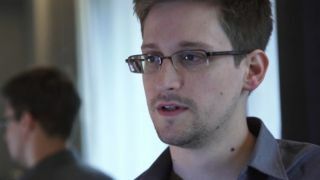 Snowden, who said he expects 'nothing good' to happen to him following the leak, has broken communications with his friends and family through fears they will now become government targets. He added: "You are not even aware of what is possible. The extent of their capabilities is horrifying. We can plant bugs in machines. Once you go on the network, I can identify your machine. You will never be safe whatever protections you put in place." As well as the obvious privacy fears for internet users, the Prism scandal has reached our news desk over the last few days due to allegations that some of the world's biggest tech giants are making it easy for the NSA to harvest user data. Apple, Google, Facebook and Microsoft have all denied allowing the US government to have direct access to their servers, but reports this weekend have suggested they may not have put up much resistance to requests for user information.